The Community Service Opportunities Fair, held January 23rd, was a great event! Fifty-six community benefit agencies were in attendance and students took time out of their day to walk around the different booths and learn about current community service opportunities available to them. The Jan and Bud Richter Center for Community Engagement had a booth along with the Picture the Change Campaign put on by your Richter ambassadors. The Richter Center team leads the campus in finding ways to serve and Picture the Change is a student run campaign to promote community service awareness on campus and throughout our community. Richter Center Ambassadors encourage and challenge you as Fresno State students to create meaningful goals to serve in your community. Most importantly, the Ambassadors and the Richter Center are here to help you find ways to engage in the community. If you couldn’t make it to the fair, come by The Richter Center on campus in the Thomas Building, Room 107 or check out our website at http://www.fresnostate.edu/cesl to find out how you can start serving today! 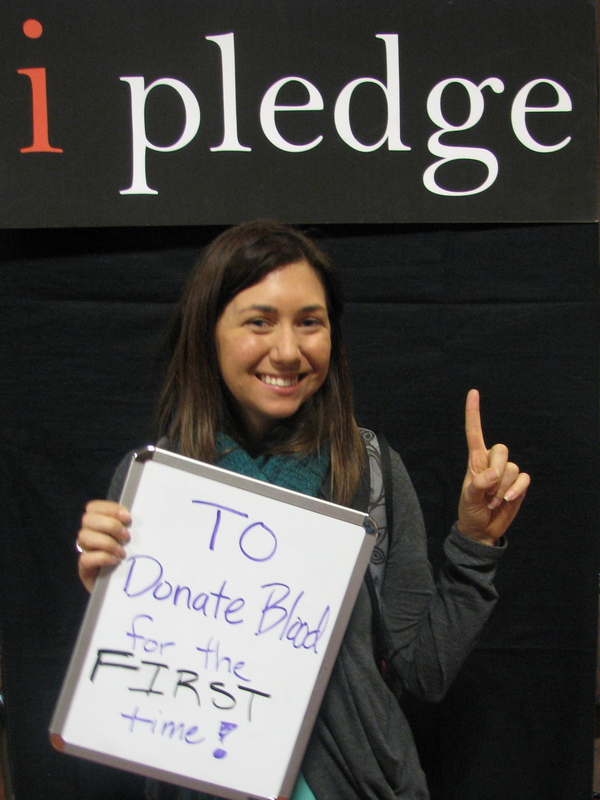 This student made a brave pledge at the Community Service Opportunities Fair on January 23, 2013. Check out the latest photos added to the ongoing Picture the Change campaign taken at the Community Service Opportunities Fair last week. These participants made a promise to make a positive impact on the world around them. We are so proud! If you made a pledge, we encourage you to find your photo and share it with your friends and family to encourage them to make their own pledge. Way to go, Fresno State! Picture the Change: Free Speech Area 10/15 Now Posted! 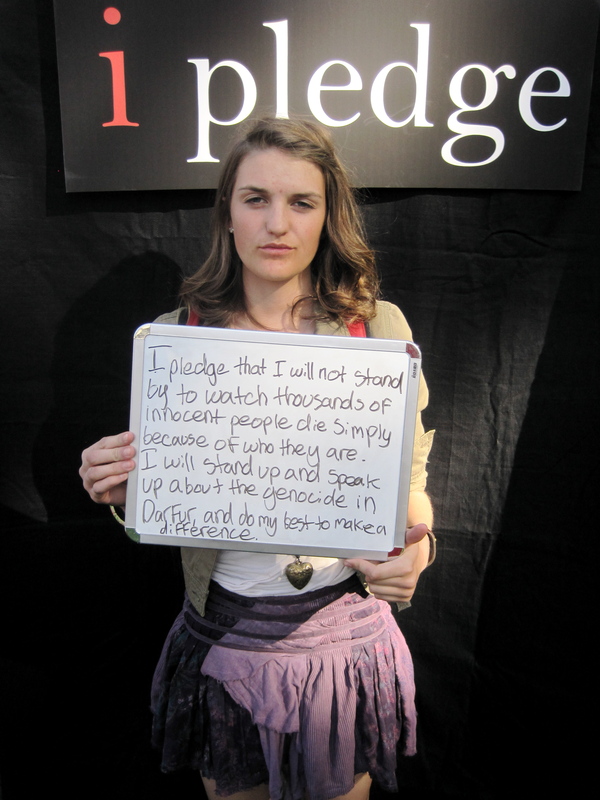 Check out all the pledges that were made in the Free Speech Area on Oct. 15 here! Find your picture and share it on Facebook, Twitter, Instagram, etc. to inspire your friends to make a pledge! How are you going to follow through with your pledge? Comment here and let us know. If you need help completing your pledge, come visit the Ambassadors in Thomas Administration Room 107. We are happy to help! Be sure to keep your eyes open for the Picture the Change booth around campus for your chance to make a pledge to better our community! PS: Like this guy’s pledge? Check out Movember and how they are planning to generate awareness about men’s health here! Picture the Change: Fall 2012 Community Service Opportunities Fair Now Posted! It was great to see everyone out at the Fall 2012 Community Service Opportunities Fair. Awesome pledges were made, and the pictures are now posted. Check them out in the Picture the Change gallery! Many of you Pictured the Change, and now it is time to make the change happen by following through with your pledge. If you need help putting your pledge into action, contact the Ambassadors via blog comments, e-mail, or stop by our office in the Thomas Administration Building on campus. We are more than happy to help! Find your picture in the gallery and share it on Facebook, Twitter, Instagram, etc. to help your friends Picture their Change, as well! We are looking forward to the positive impact that the Fresno State students and staff will make on our community. Sudan: Why Should I Care? When I recently began an advocacy campaign for the March 5th Camp Darfur event with my fellow Ambassadors, I really did not know what I was getting myself into. All I knew was that it was an issue that needed to be brought out into the open and that I wanted to take part in it. As I started to research and get more involved in this action against genocide, I realized how close to home it was for me. I grew up hearing how my parents had survived the Vietnam War, but I had never connected the dots that the Hmong, who were hunted and killed due to their involvement with the CIA, were victims of genocide. From this newfound knowledge, I felt more sensitive towards the cause to bring awareness to the situation in Darfur, but more so, on how I can make a difference in the lives of the Darfurians. 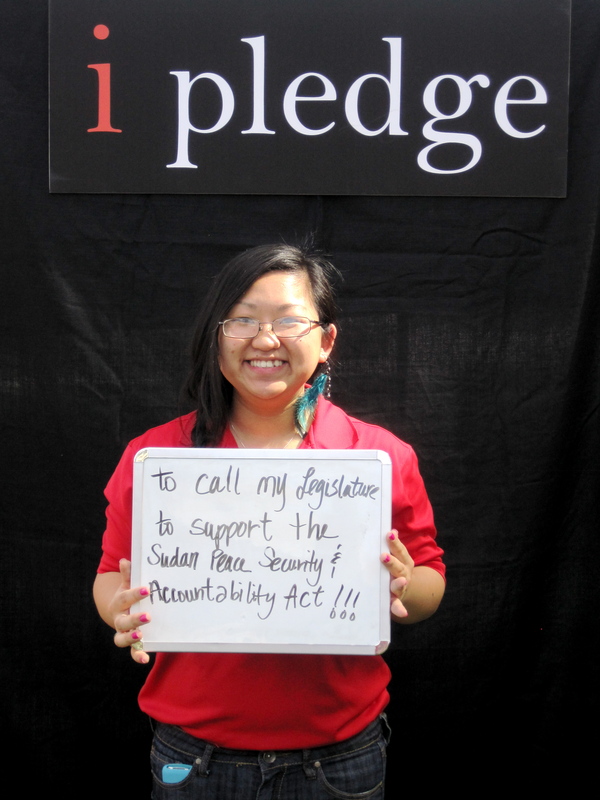 At the Ambassador's advocacy table at the Camp Darfur event, Ambassador Song makes her pledge to help the people of Sudan. With the help of 1-800-GENOCIDE, I was able to do just that. I began the phone call inquiring about talking points I could use while talking with my Legislator, but I learned much more. To my surprise, I was informed that there was an Act being introduced later that week, March 8th, to Congress. This meant that I could instruct my elected official to pass and support this Act. I could not have asked for better timing. This Act, the Sudan Peace Security and Accountability Act of 2012, will help stop the injustice happening in Sudan and much more. More information can be found here: http://www.govtrack.us/congress/bill.xpd?bill=h112-4169. With this newfound knowledge, I have had the privilege of not only letting my Legislator know my thoughts about genocide and Darfur, but to also ask for their support on this Act. Now I challenge YOU to do the same. What better time to stand for a cause than now? It is only ONE phone call away! Call 1-800-GENOCIDE today. P.S. 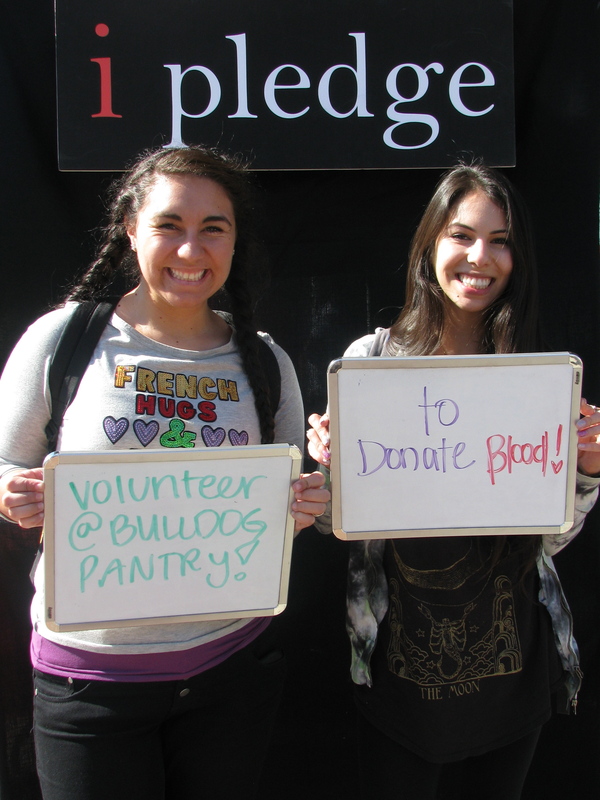 Check out the Pledges made by other Fresno State students at the Camp Darfur event here. Picture the Change: Camp Darfur Now Posted! A student makes her pledge after attending Camp Darfur on March 5th. Picture the Change photos from Camp Darfur have been posted! To view them, click on “Picture the Change” and select Camp Darfur, or just click here. To learn more about Picture the Change, click here. Latest Picture the Change Photos Posted! 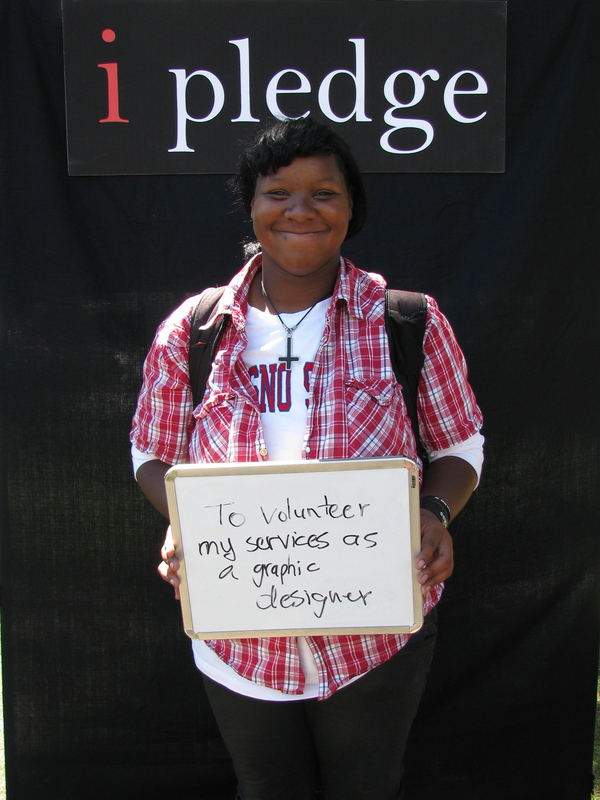 A Fresno State student proudly makes her pledge at the Picture the Change booth. The most recent Picture the Change photos have been posted! Check them out here.